In today’s age, as a business, you are expected to be available at your customer’s disposal, no matter what time or channel they choose to contact you. Therefore an Omnichannel Inbound Call Center is an integral part of your business. However, maintaining an in-house Inbound Call Center poses many challenges. Cost of recruiting specialized staff, training, office space, and infrastructure maintenance are just some of the significant ones. A good alternative is to collaborate with an experienced and professional 24×7 Inbound Call Center Services and BPO provider that acts as your representative and takes care of all your necessary functions and customer issues for you. So, even when your business is closed, your work is getting done and customer issues don’t pile up, leaving little scope for any complaint or unnecessary escalations. With over 15 years of experience in providing high-quality Inbound Call Center and BPO services, LiveSalesman is a renowned name among business process outsourcing companies. We work with our clients like partners, not third-party vendors. We don’t believe in just ‘answering’ queries and going home. We adopt a consultative approach to make your customer service and operational processes much more streamlined and efficient. We incorporate and implement strategical solutions that help you plug the loopholes in your processes and reduce cost while enhancing customer experience and driving higher revenue. We help you automate tasks which don’t necessarily require human intervention so that your customer service and operations team can spend more time on things that actually need their attention. Our Call Centers are equipped with advanced cutting-edge technology and robust infrastructure that ensures uninterrupted service for our clients. We empower our clients with tools such as real-time reporting and analytics to maintain transparency and to offer valuable business insights. We have several years of experience and expertise in managing inbound and outbound call center services for various small to large clients. Our in-house recruitment, training and quality departments make sure that we and our clients have full control over the projects we take up. Our portfolio of inbound call center services can be broadly categorised under sales, customer service, answering service and tech support delivered over Live Chat, E-mail, Phone and Social Media Channels. All our Inbound Call Center Services are scalable and can be fully customised according to client requirements. Keeping the client’s brand culture intact and resounding is the common denominator that all Inbound Call Center services share. 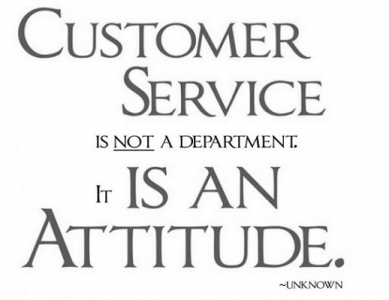 Customer Service is unarguably the most important function of our Inbound Call Center Services. We specialise in high-touch customer care. Be it Customer Assistance, Customer Acquisition, Customer Relationship Management, Customer Grievance Resolutions and Complaint Management, Customer Retention or Customer Loyalty Management, we strive to deliver an outstanding experience for your customers in every interaction, reinforcing and differentiating your brand in the mind of your customers. How our strategy-driven Customer Service Solutions can help you transform how your customer experience and drive unprecedented customer loyalty. Social Media Management and Support is an essential channel for any business for customer support and consequently, it has become an indispensable part of inbound call center services. This is because Social Media presides over the lives of a majority of modern consumers. Customers are often reluctant to call or email you or visit your website if they have questions. They find it a lot more convenient to interact through Social Media Platforms such as Facebook Messenger, Whats app etc. If they have concerns, they don’t hesitate in venting out their frustration against your brand publicly on social media. How can you not offer Social Media Support 24×7 to answer your customer queries in real time and more importantly to control the damage before it snowballs and damages your brand? Well, we understand that it is not viable for all businesses to this in-house and hence us. We have a team of Social Media Customer Support and Management Team that understands well that Social Media Customer support is a different ballgame altogether. The level of promptness, the tone and language you use to connect and engage the customers, the level of personalisation are all different from the support on other channels. Whether or not you like it, social media is here to stay and will only grow as a customer service channel. The sooner your business gets on board, perfecting your responses and delivering quality experiences, the better. 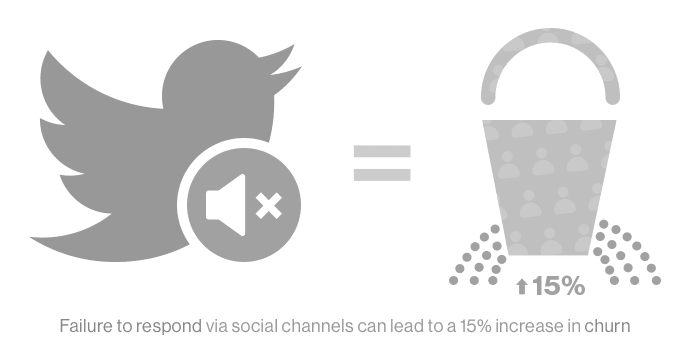 Talk to us to learn more about how we can help you deliver quality customer experiences on Social Media Channels. Our Answering Service is an elementary level Inbound Call Center Service where in our call center agents professionally answer telephone calls for our clients and collect message accurately which are then conveyed to our clients. This ensures that you are never missing an important message or lead again. This service is especially suitable for businesses that do not have an in-house receptionist or are looking for someone to answer calls outside their office hours. LiveSalesman answering service makes sure that you are not spending your precious time and money in answering calls. Customers now want to be able to place an order through a channel and at a time that is convenient for them, not for you. Hence, Order Taking has become a key service in Inbound call centre services. At LiveSalesman, we offer you reliable 24×7 Multichannel Order Taking and Order Entry services. Our Order taking Call Center Agents to make sure that all orders are taken accurately and entered into your CRM system immediately so that they can be processed instantly. We understand the criticality of protecting your customers’ personal information and securing their payment details. Hence, we take all necessary measures in a call centre to ensure the safe handling of such information and to prevent identity theft. When customers contact to place an order, they expect to engage with someone who is fully knowledgeable about your brand and offering and can guide them. Therefore, all our Order taking Call Center agents are trained to thoroughly answer any questions your customers may have regarding your product or service prior to placing an order. When your customers make an educated purchase decision, chances of return and exchange dwindle. Our seamless order taking service is available over phone, email, live chat, SMS/text and Social Media platforms to name a few. Customer Retention is a critical service amongst Inbound Call Center Services because it costs a lot more to get a new customer than to retain one. When customers call to cancel your subscription or service, instead of passively cancelling, our Customer Retention Call Center Agents engage them in a conversation to understand why they wish to cancel. If they are upset about something, we placate them by giving them a patient ear and empathising. According to the concern they express, our Customer Retention experts offer a resolution or incentivize them as per your policy and make every effort possible retain them without being imposing. The speed and accuracy of the resolution you provide to your customers when they face a technical problem with your product or service can literally make or break your business. You can count on LiveSalesman Tech Support Services to make sure that your customer’s issues are troubleshooting with utmost urgency and precision. We cater to all level of Tech Support requirements from basic to advanced. Learn more about our Tech Support Service. Inquiry handling has a pivotal role in almost all Inbound Call Center Services. Whether you need us to answer basic questions or impart detailed information, our Inquiry Handling Call Center agents do it with as much confidence and perfection. We accomplish this through rigorous training so that our call center agents have a thorough understanding of your offering. We understand that it takes immense effort, time, and money to drive targeted inquiries. It is imperative that such inquiries are properly handled to make sure that they turn into qualified leads and converted to sales. Our Sales Support Agents are adept at sales, cross-selling and up-selling. They are trained to think way beyond making a one-time sale. With our sales support, we aim at delivering such compelling buyer experience that buyer comes to you again and again and gives you repeat business, generating excellent business opportunities and return on investment for your business. Learn more about our Sales Support. In a rush to move online, most businesses have ignored what sustained them in the first place – unique, trusted & tailored customer service! The quality of the customer experience on your website cannot be inferior to the level they experience offline. When you consider that 81% of customers are willing to pay more for superior customer experience, it is difficult to see why it should take a backseat. With the help of LiveSalesman 24×7 Live Chat Customer Support, you keep your online customers engaged so that they don’t deflect to your competitors, provide quick assistance, and drive sales. 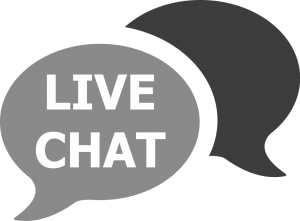 Read on to learn more about our Live Chat Customer Support. Irrespective of the introduction of new customer channels, good old E-mail Support remains a vital element of Inbound Call Center Services. How fast your E-mail Response is and how your emails are drafted speaks volumes about your brand. 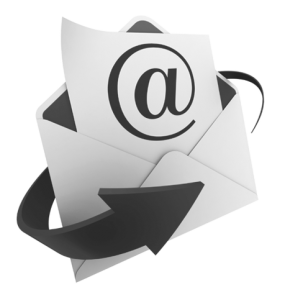 Learn more about how at LiveSalesman, we handle the good old E-mail Support in a new way! Phone or Call Support- traditional but the most critical of Inbound Call Center Services that call center is premised upon and named after. At LiveSalesman, we offer 24×7 Phone Support in English and many other European and Asian languages. Our Call centers are equipped with advanced facilities like predictive dialer software, ACD, IVR, softphone, voice logging and call recording. All the recorded calls can be accessed by clients.